One is about improving living standards, providing an integrated design solution and delivering a sustainable building. The design brief fits with the city’s objectives and community needs to develop a new, dynamic urban centre and to encourage social interaction. 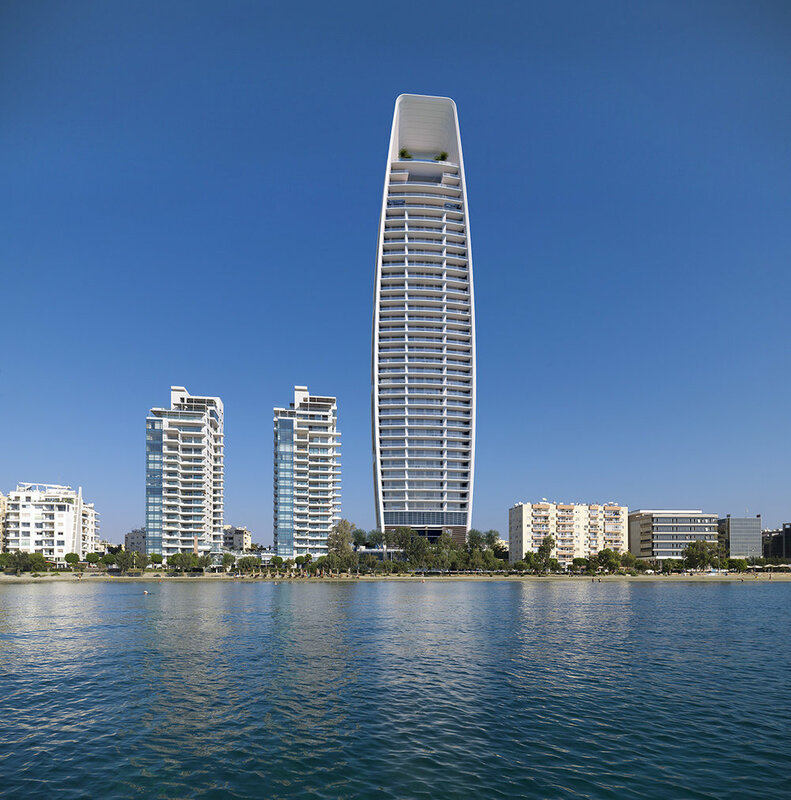 One redefines the Limassol skyline and acts as a catalyst to regenerate and stimulate further interest in the region. Intelligent, passive design solutions have been considered to reduce energy consumption, to reduce the cooling loads during the hot season and to minimize the use of resources. One's distinct tower shell and top frame define its visual appearance. 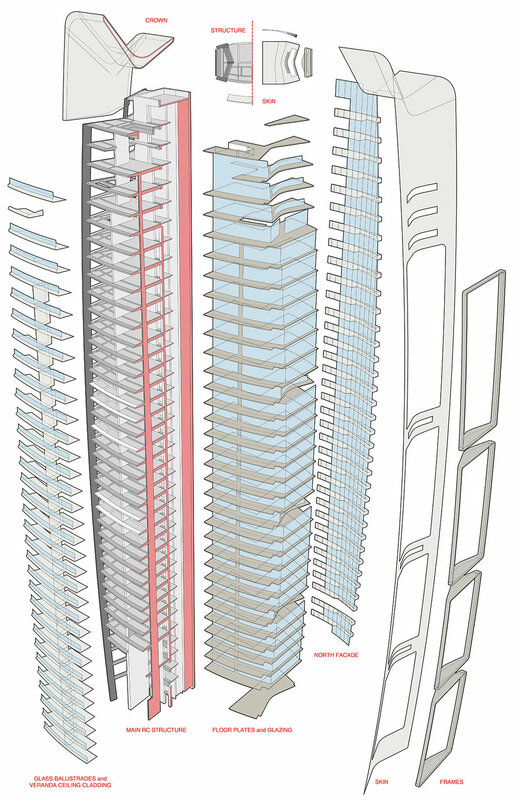 Solar shading studies and computational geometry tools were used to help shape the shell, frame the views and protect the apartments. All apartments enjoy direct sea views with a seamless indoor/outdoor relationship. The design celebrates Mediterranean outdoor living while providing the shading required and allows for sufficient daylight with deep and comfortable verandas. The apartments are spread over 27 levels. The typical tower floor plate has the primary core located at the back, which allows for a variety of floor layouts from three to two to one living unit per floor. High-end retail units are designed over two floors along 28 Octovriou Street. A large, outdoor pool and recreational area for residents sits over the car parking podium.